A police officer’s job is dangerous, but Dodge is offering a new tool to help officers stay safe. 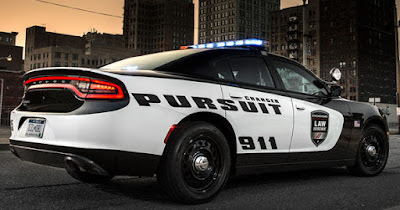 The 2017 Dodge Charger Pursuit, the Dodge law enforcement vehicle, will be equipped with technology that can detect people sneaking up behind the vehicle. Dodge collaborated with California vehicle control systems maker InterMotive on this feature in response to ambush attacks on police officers this last year. These safety features come standard in every 2017 Charger Pursuit, no extra cost for police agencies. Our Fleet Department is happy to provide local government agencies and organizations with cars and vans, law enforcement vehicles, and trucks. Melloy Dodge is excited to bring these awesome police cruisers and other high-performance Dodge vehicles to New Mexico to help ensure officer safety!